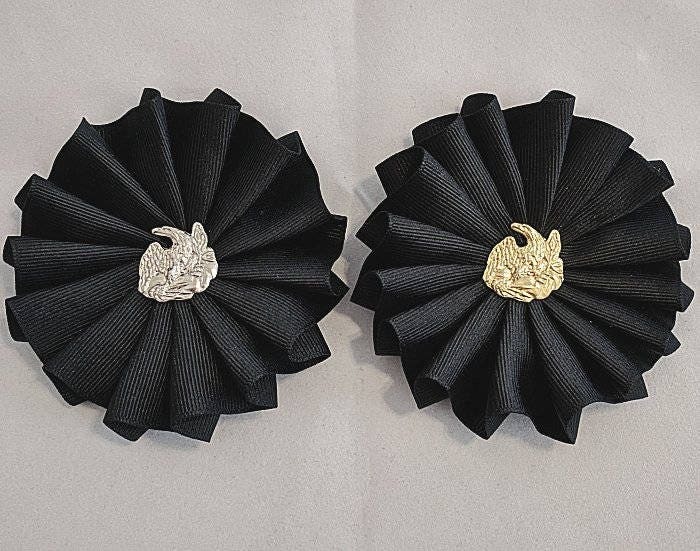 On the right side is a 3 1/2" cockade made with 7/8" black grosgrain ribbon. 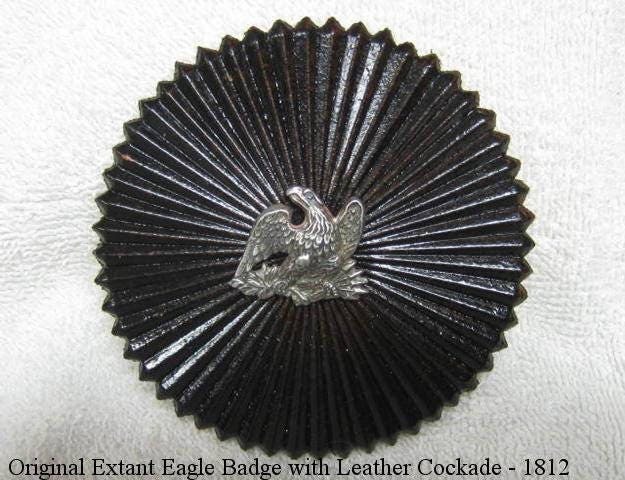 In the center of this cockade is a reproduction of a 1812 Eagle Badge approx. 7/8" high and 1" wide. 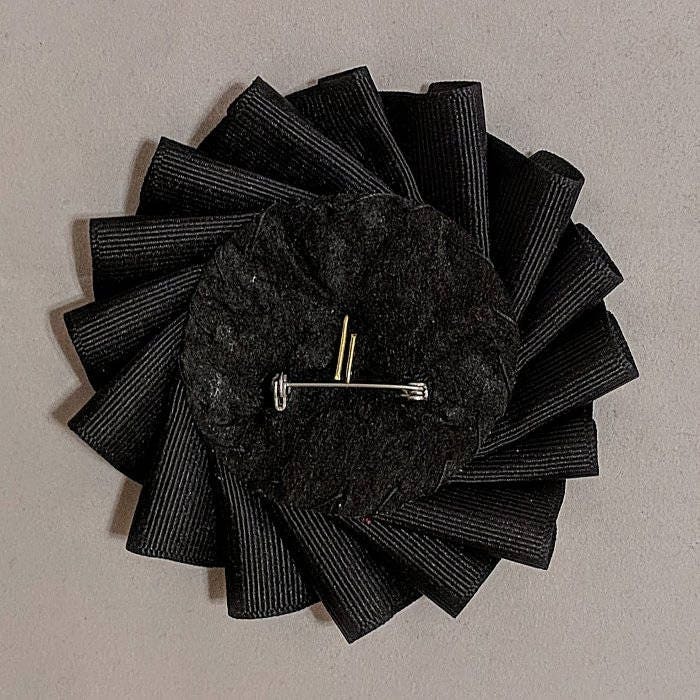 There is a bar pin on the back so that it can be attached to the laces on either side of the hat or removed to wear on clothing. White metal for Infantry, brass for Artillery. The last picture shows an extant cockade from 1812 made of leather. 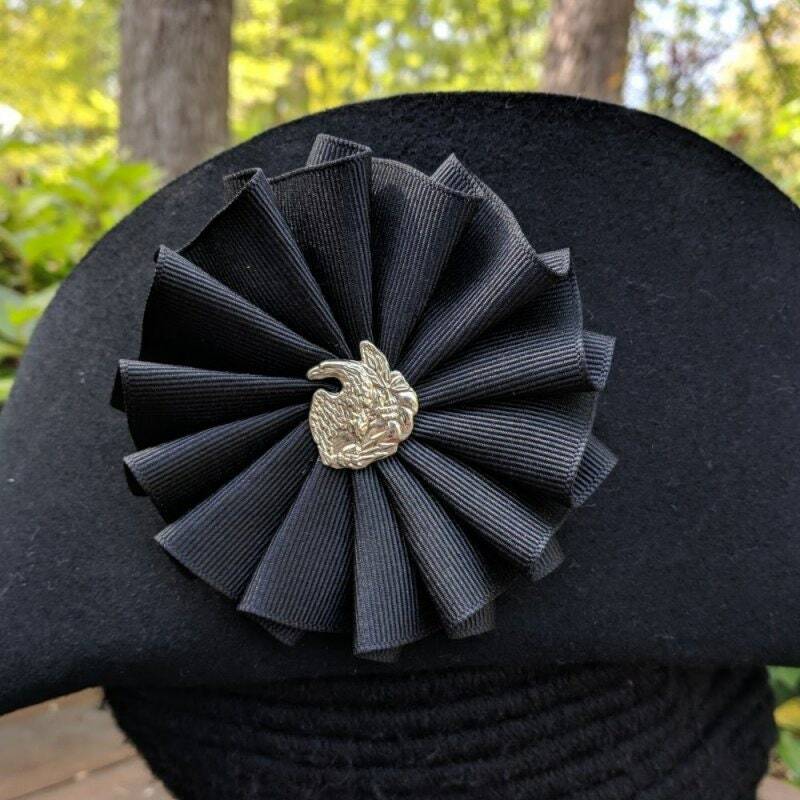 QUOTE by James McHenry, January 9, 1799 - "All persons belonging to the army, to wear a black cockade, with a small white eagle in the centre. The cockade of non-commissioned officers, musicians and privates, to be of leather, with eagles of tin." 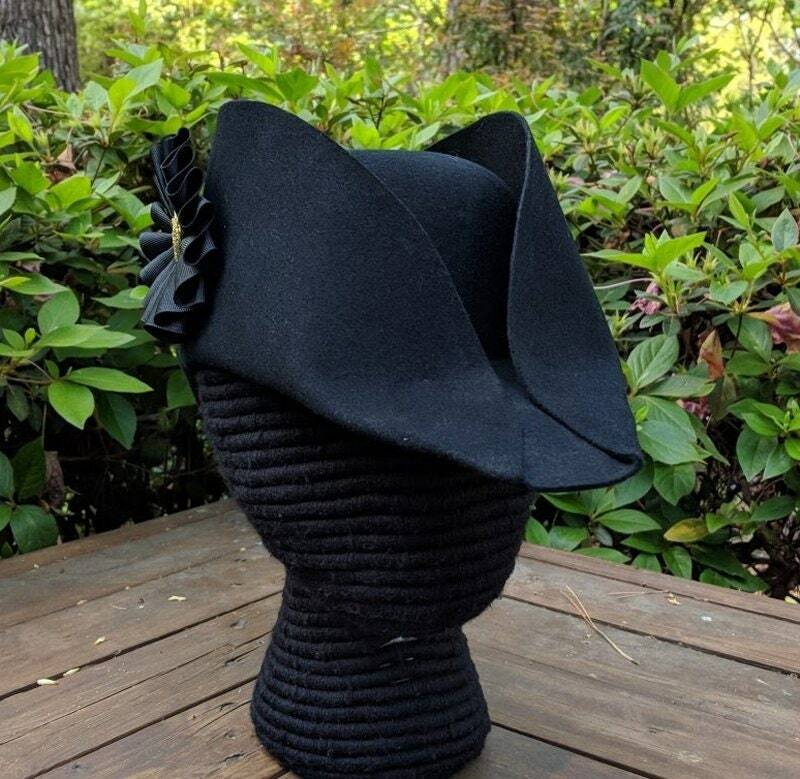 The hat body has been blocked and sized. 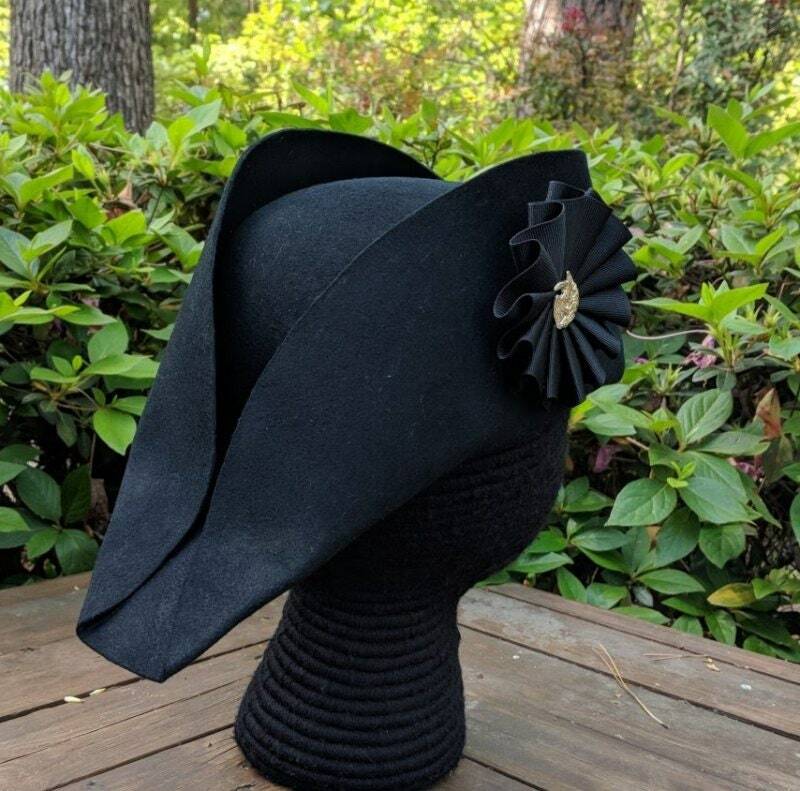 NOTE - Made to Order - Please allow a couple of days for us to make this hat and cockade especially for you! Measure around your forehead if you are unsure of your size. 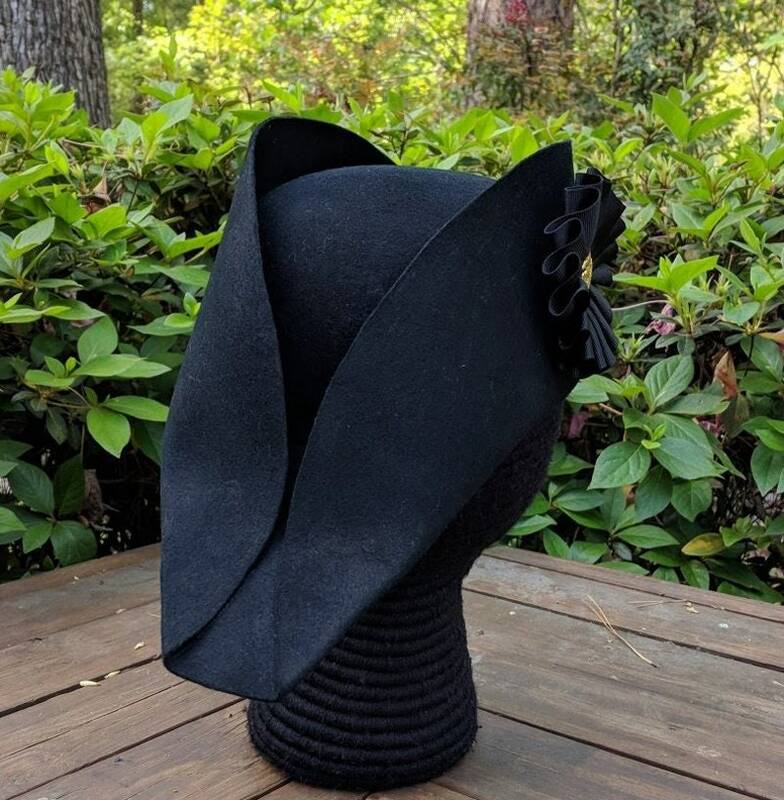 If you don't like tight hats, order the next size up. We ship via USPS - Priority Mail - Insured for safety and so that you will receive your package in 2-3 days. Plus, you can track it on-line. 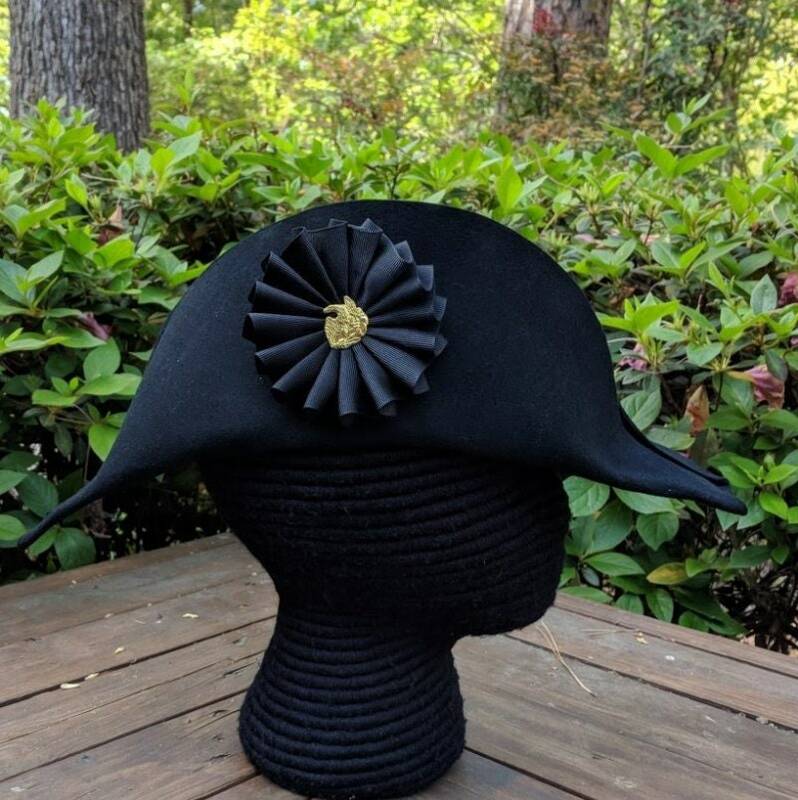 HISTORY - The black cockade was worn in England to represent the Hanover monarchy (King George of Great Britain) beginning in 1714. 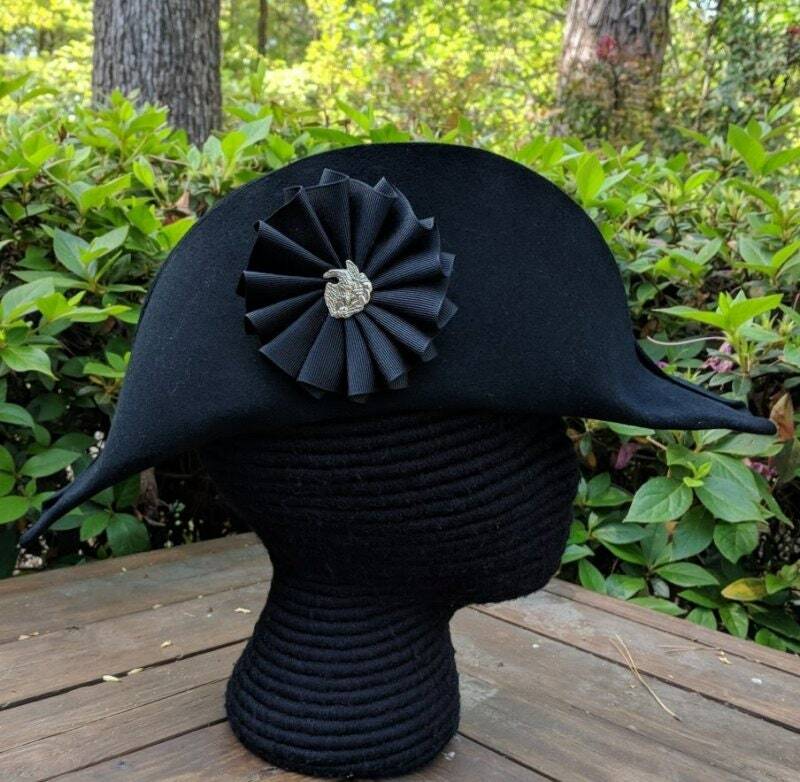 In American, the Continental Army continued to wear black cockades.